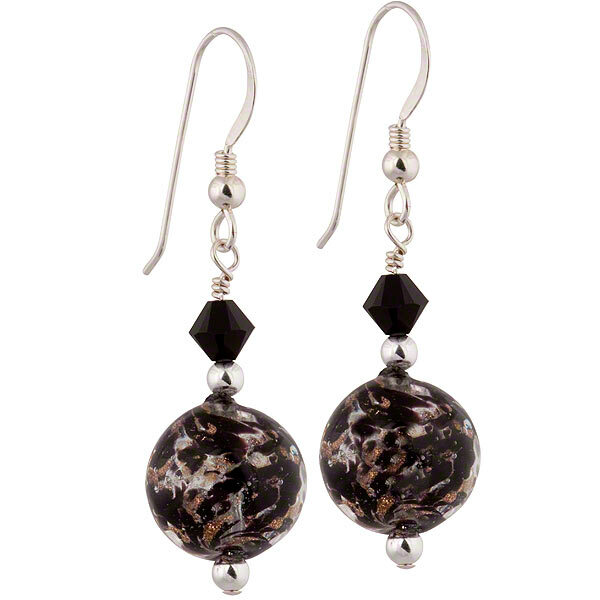 While these Murano glass earrings are simple enough to be worn everyday, they are also perfect for a night out on the town. The black glass mixes with the brilliance of aventurina and Swarovski crystals, all accented by sterling silver components. Approximately 1 1/2 inches in length.